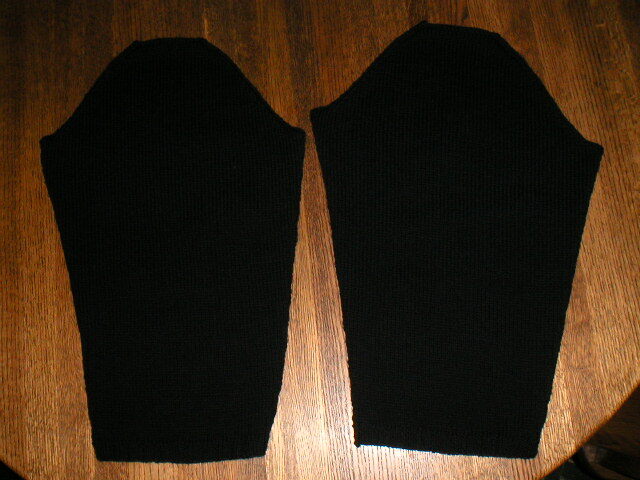 The sleeves were finished and blocked on Saturday night. They are ready to be sewn into the cardigan. But first, I must add the ribbed edging. I plan to start that later today. Over the weekend, I headed to the Fabric Depot with Super Eggplant and I got a nice square button for the Cutaway. I hope to be wearing this sweater by the end of the week!